E3 Zone 2 Elegant Large Room with TV inside Room! 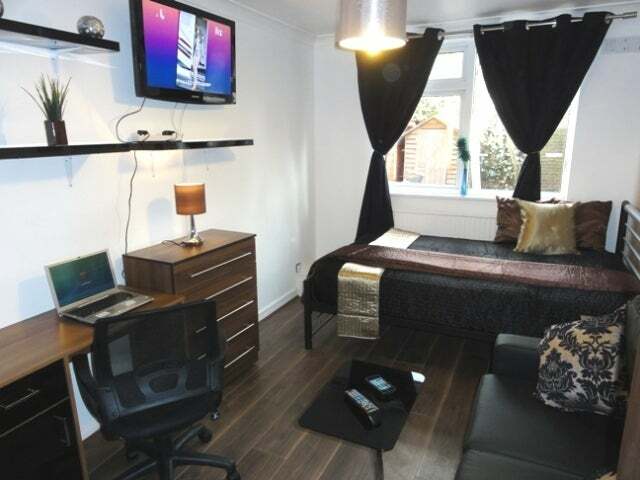 I have a stunning Kingsize room inc large TV and SOFA. The Kitchen is brand new and has all necessary appliances (fridge/freeze, washing machine, microwave) Transport: Bow Road Tube Station is only 5 min walk away, Bethnal Green (Central) and Mile End Tube Stations (Zone 2, Central, District, H&C) are less than 10 minute bus ride. 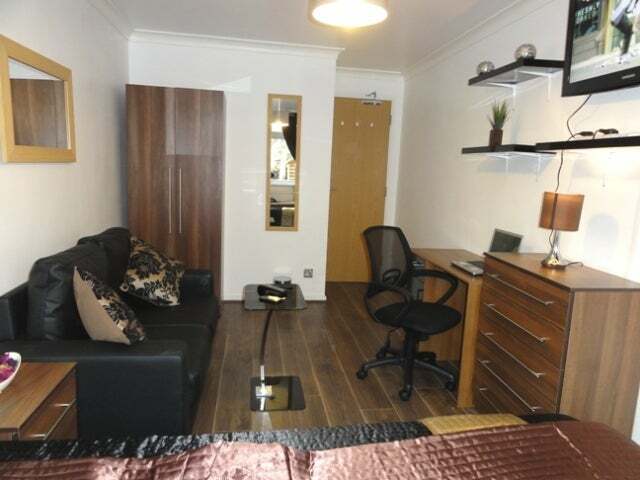 Queen Mary University is 15 minute walk away. J U S T . R E F U R B I S H E D and ready for IMMEDIATE OCCUPATION !!! Early viewing advised as high demand for this new room, and it will go FAST! 2. 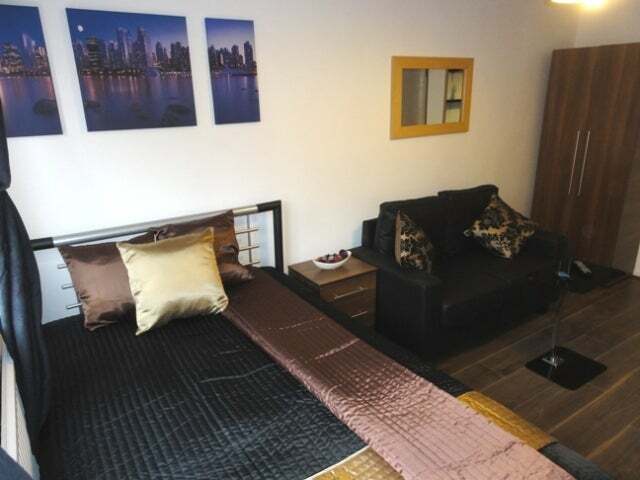 One Calendar month rent in advance and 1 calendar month deposit in advance. 3. Fully inclusive of bills (please read below for details). 4. DSS and Benefit callers NOT allowed PLEASE! 4. Cordless landline phone to share with others for incoming calls. This can be helpful for those people using international calling cards to dial abroad since you can dial out using any freephone numbers. 5. Many great Freeview Channels (very clear external reception) to Watch every day! I am looking for a peaceful person, which means you should have respect and consideration towards others. You must be clean and understand basic hygiene, for example, if you make a mess or use dishes, you must "clean as you go" fairly immediately and not leave it for another person to clean your dishes the next day. Contribute towards the cleanliness of the property by following a cleaning rota. 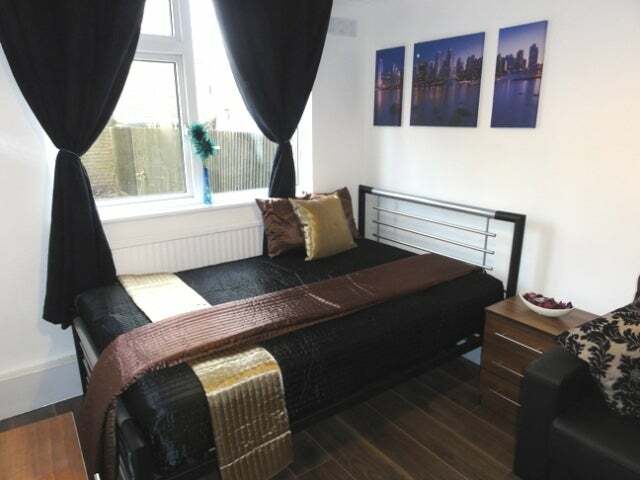 - ONLY 2 minutes walk away from DEVONS ROAD DLR train station (only 3 stops away from CANARY WHARF i. e. less than 10 minutes and you're at Canary Wharf). - ONLY 5 minutes walk away from BOW ROAD TUBE STATION which is on the DISTRICT LINE and HAMMERSMITH & CITY LINE (only 4 stops away from Liverpool tube station or 6 stops away from Bank Tube station on the Central Line) - Bow Church DLR station is opposite Bow Road Tube. Bus number 25 (24 hours): Takes you straight to OXFORD CIRCUS passing Royal London Hospital at Whitechapel. 205 (24 hours): Paddington, Marylebone, Baker Street, Regent's Park, Euston Square, King's Cross. 276: Hackney Central, Stratford, Newham General Hospital. 425: St. Clement's Hospital, KH832, Stratford. 8 (or N8 is 24 hours): Tottenham Court Road, Holborn, Bank, Liverpool Street. 108 (24 hours): North Greenwich. 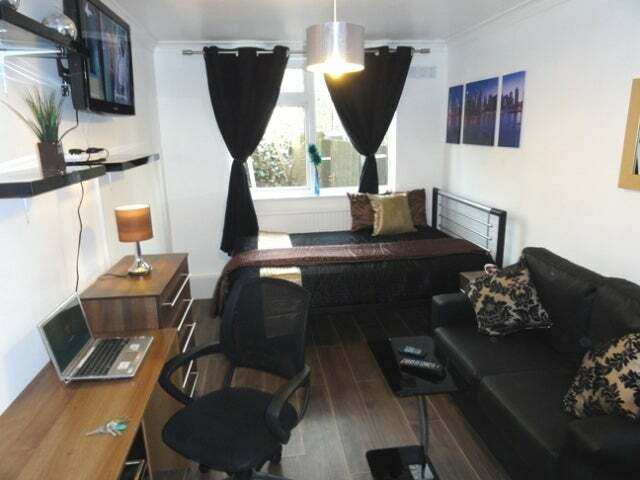 - Central heating and double glazed windows in all rooms. - New fully fitted kitchen with breakfast bar and stools. - 3 large fridge-freezers. Plus, usual kitchen appliances e. g. microwave. - 2 Washing machine dryers. - 3 toilets. 4 showers plus 2 bathtubs. - Very Big & Huge Garden with garden table with chairs etc. - Free Parking (Permit is not required). - Large Wall Bracketed TV - Great way to relax! - Room door has Lock & Key system. - Decorated – Wooden Laminated Floors, curtains, painted etc. 1. Town centre and shopping area, supermarkets, banks, post office etc. are within a few minutes walk. 2. Cinema is a few minutes away. This home is peaceful and clean, this means the prospective new housemate should be peaceful and clean too!